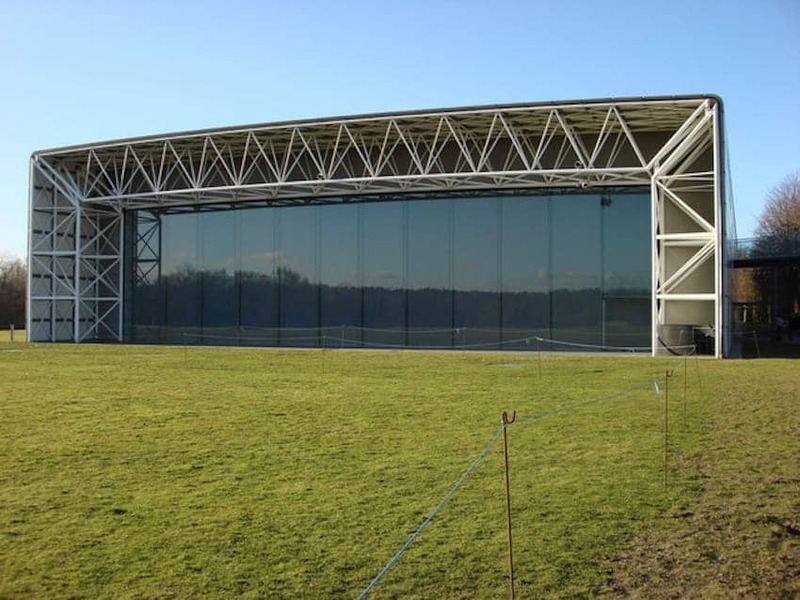 Opened in 1978, the Sainsbury Centre for Visual Arts was the first major public building designed by architect Norman Foster. With the need to house many functions under one roof, Foster's solution was a prefabricated modular structure formed around a steel framework, with individual aluminium or glass panels assembled on site. The interior was designed with attention to how objects were displayed within the space. Inside feels like one vast open space, without divisions typically found in museums. The space is remarkable for its transparency and interplay of natural and artificial light.